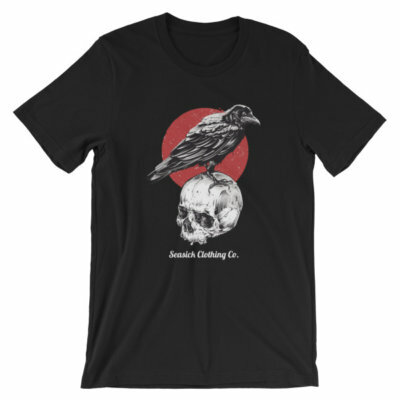 Skull & Crow Socks - Seasick Clothing Co. 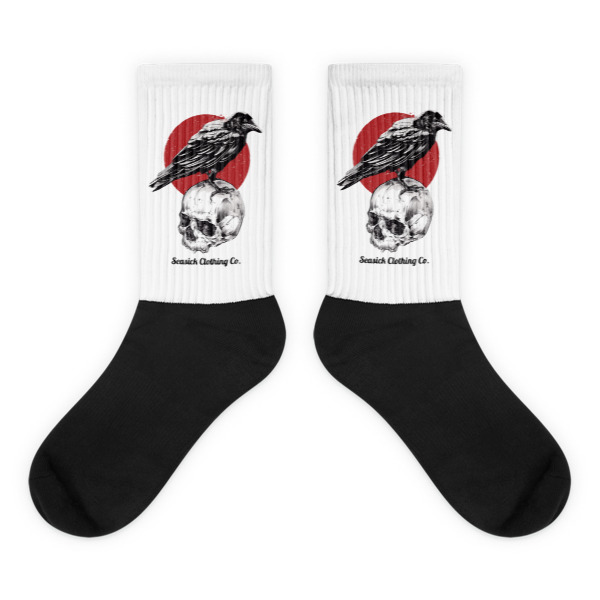 These Skull & Crow socks are extra comfortable thanks to their cushioned bottom. 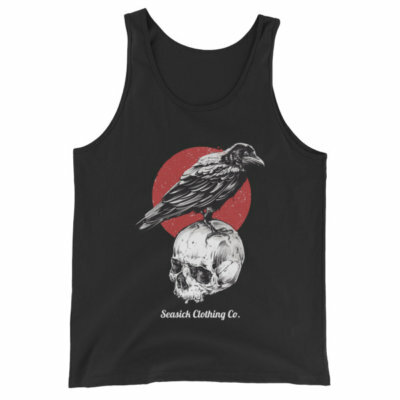 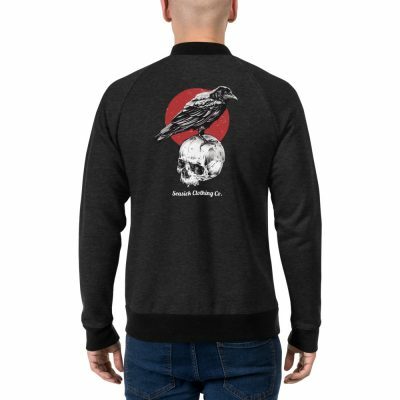 The foot is black with the Skull & Crow artwork printed along the leg with crisp, bold colors that won’t fade.